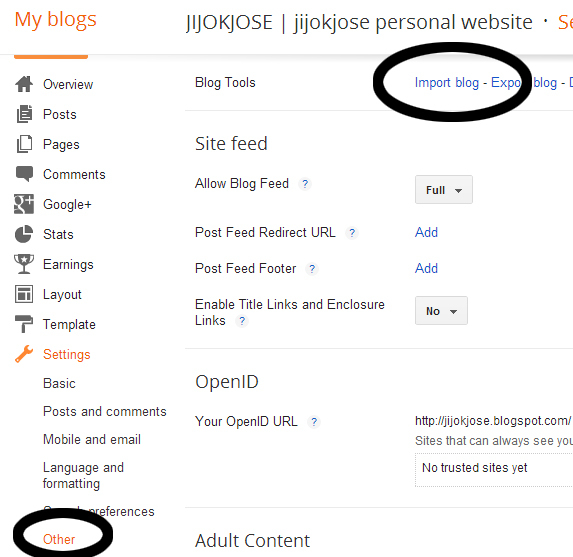 Login to your WordPress account and navigate to the Dashboard for the blog that you'd like to transfer to Blogger. Click on the Tool tab and click on the Export link. Download the WordPress WXR or XML export file by clicking on Download Export File. Save this file to your local machine. Save converted file to your local machine. This file will be the contents of your posts/comments from WordPress in a Blogger export file. After completing the import wizard, you should have a set of imported posts from WordPress that you can now publish to Blogger. Note : Most of the time the imported posts are not in published state so you should publish all posts manually.